With natural and man-made landmarks that mesmerize everyone who has a chance to see them, the Gakh region has much to offers visitors. From beautiful waterfalls to emerald green forests, it is spectacular whichever way you look at it. The region is home to some of the most charming villages in the world. Each of them has its own unique charm, attractive heritage and rich history. Nestled in the heart of Gakh region, the charming village of Ilisu is known throughout the country for its picturesque valleys, majestic waterfalls and historical sites. Ilisu, located along the banks of the Kurmuk and Hamamchay rivers 12 kilometers from the administrative center of the region and 1,400 meters above the sea level, is one of the most ancient settlements in Azerbaijan. The area around the village has many historic monuments, including ancient Albanian Christian churches of the 4th-5th centuries. Walking around the village you can see ancient Sumuk fortress. Sumuk Gala (or Sumu fortress) in the village of Ilisu has long been considered one of the symbols of Gakh region. But historians believe that the fortress lost its ancient original appearance after the restoration work carried out here. There are still a lot of legends about this ancient fortress. Not much was known about the ancient fortress. It is only known that it belongs to the 17-18th centuries. 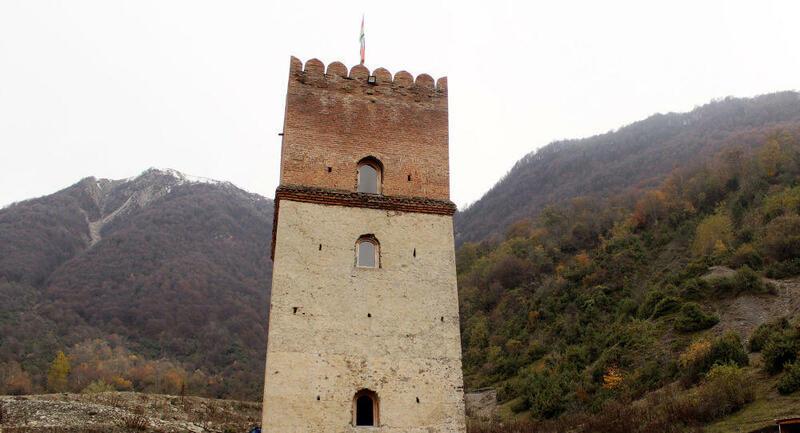 Azerbaijan historian Mejid Mekhrani told Sputnik Azerbaijan that according to one of the legends, the fortress was built by a soldier named Sumu. The residents of Ilisu pronounce the word as Sumuk, so the fortress remained in history as Sumuk Gala. The historian thinks that the fortress may have been intended to protect one family, one clan. And it was built not by a soldier, but a feudal lord. As a rule, such fortresses were built near houses, settlements for defense. Another legend says that the fortress was built by the ruler of Ilisu named Sumu Khan. But there wasn't even a mention of him in historical sources. There is only reference to Mohammed Khan, who ruled the sultanate for a certain period of time and was given the title Usmi. The territory where the fortress is located is constantly exposed to the collapse of stones and rocks, its first floor remained almost completely under the rubble, but despite this, the building retained its strength. The higher you go, the narrower the inner space becomes. There are two windows on the upper floors. Recently, the historical monument was restored. This ancient fortress is probably one of the reasons why tourists can’t get enough of it and keep returning to Ilisu year after year.